An evening of free casino games, costume shows, live music and delicious treats. 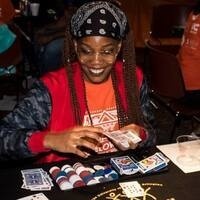 Halloween Casino Night helps provide students with a fun, safe, and informative environment which helps celebrate the season with tips and information from campus resources about alcohol and drug awareness and wellness promotion. The evening culminates with a special prize drawing for those who have participated in the games and Halloween costume contest.